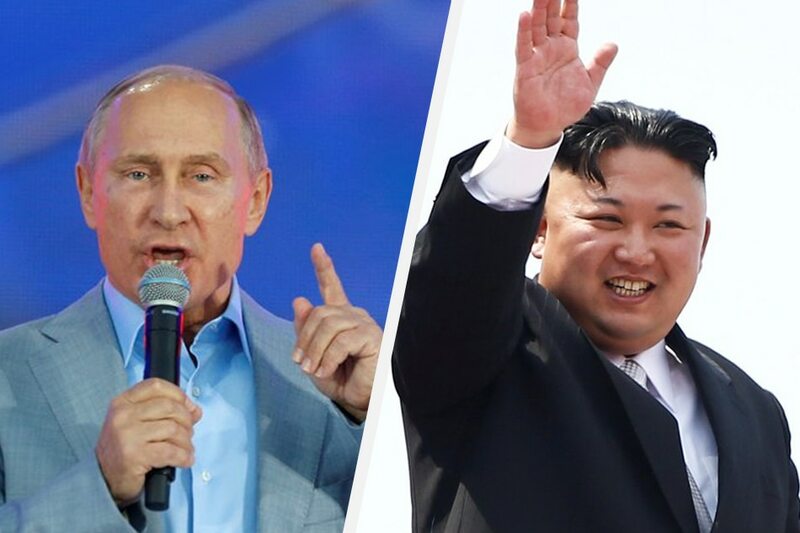 VLADIVOSTOK- Russian President Vladimir Putin on Wednesday said North Korea must be given security guarantees in exchange for steps towards denuclearization. "North Korea, in return for its denuclearization, was after all promised security guarantees. Clearly, it is waiting for some sort of signal in response," Putin told an economic forum in the far eastern city of Vladivostok. "It seems to me counterproductive if we demand everything from the North Korean side and in response they are given nothing," he said at an event with China's Xi Jinping and Japan's Shinzo Abe. He said international guarantees would be "appropriate" along with US offers, following a summit between President Donald Trump and North Korean leader Kim Jong Un in June. Then, Trump and Kim signed a vaguely worded agreement on denuclearization but little progress has been made since then. The latest round of diplomatic efforts to curb the North Korean nuclear program has been high on the agenda in Vladivostok. On Monday, Japan's Prime Minister Abe said he was ready to provide financial aid to Pyongyang on condition that it resolves the issues of its nuclear and missile tests and abducted Japanese nationals. They support North Korea's denuclearization and abide by international sanctions against Pyongyang, but have rejected Trump's threats of military action made last year.